When I am looking around the ‘net for tea information, I often see people reviewing teas. They’ll say they like or dislike various flavors or qualities of a particular tea. However, I find it curious how so many reviewers refer to the retailer as if they somehow produced the tea. It’s like most people think the place they buy tea is where it originates. For example, if you were to say “I just love Tea Geek’s Tippy Golden Yunnan,” that would seem a little odd to me, because it isn’t my Yunnan. I know at least one other retailer selling the same tea, and neither of us buy it direct from the farmer. That doesn’t stop it from being one of the top sellers at the Tea Geek Store, of course. And I wouldn’t blame you for loving it–I sure do. It’s just that Tea Geek didn’t have anything to do with making that tea the wonderful product it is. There’s a problem with the retailer-origin approach. I’ve seen someone do a comparison of the same tea from different retailers, as if they were different teas. Even though both retailers bought the tea from the same farmer (at the same time), neither credits the farmer and both independently sell the tea as their own. So what, then, can the reviewer compare? Perhaps storage quality for the brief time portions of the same batch were held at two different companies. It’s more likely, of course, that the reviewer assumes they are actually different teas and contrasts what’s different about the quality, flavor, etc. where there really is no difference. This discredits the reviewer and misinforms the people who read the review. I view teamaking as an art. Imagine a painting. Let’s say the Museum of Modern Art is selling Van Gogh’s 1889 painting, “The Starry Night.” Let’s also say I’ve won the lottery and have the cash to buy it. Wouldn’t it sound strange if I said of my new painting to my fancy dinner guests, “Oh, I just love MOMA’s Starry Night that I picked up last week.” Or to later buy another Van Gogh from a collector and to treat them like they’d been painted by two different people because I’d bought them from two different people. Every batch of tea is unique. It’s the result of thousands of decisions made by the farmer (and processor(s), in cases where the farmer doesn’t see the process beginning to end)–soil preparation, cultivar selection, plant propagation, fertilizing, pest control, timing of the harvest, harvesting technique, plucking standard, machinery used (or not), speed of transportation to the processing facility, control of temperature and/or humidity, choice of processing technique and style, timing of the various steps of whatever process is chosen, skill of the labor required, and so forth. Some teas come from a tea artisan that uses a somewhat standardized set of choices (think Thomas Kincaid), and others are more experimental and use different styles (Picasso, as an example). But all of them are unique. I have a tea sample next to me from Darjeeling. 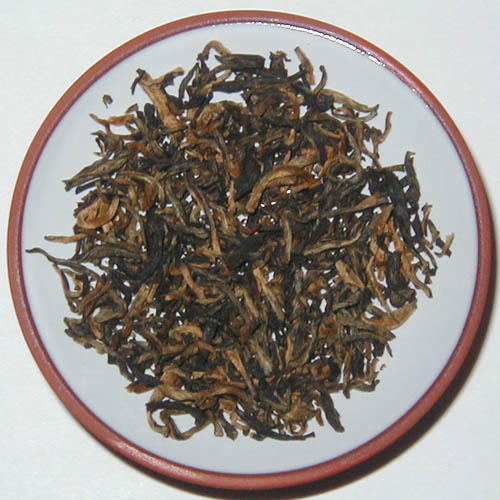 The information on the sample, though, is quite detailed–Glenburn Tea Estate, FTGFOP1 Special Grade, plucked on 30 March 2010, Invoice (aka “batch”) number DJ20. That tells me exactly where and when it was made, gives some information about the plucking and processing, and specifies a particular batch number. If I were to get another FTGFOP1 Special from the Glenburn Tea Estate, but it had a different invoice number, it would not be the same tea. If I got a tea of the same grade and same date from a different Darjeeling farm, it would not be the same tea. Now, I’ll concede that many teas on the market are blends, and therefore can’t be attributed to the original craftspeople who grew, plucked, and processed the leaves. Great. But here it seems to me that tea works like literature or music. Derivative works are made all the time. Think of Pride and Prejudice and Zombies. Jane Austin wrote Pride and Prejudice, and Seth Grahame-Smith added the “Ultraviolent Zombie Mayhem” bits. Or Jane Eyre was written by Charlotte Brontë, and Jasper Fforde wrote The Eyre Affair in which the villain uses a device that allows him to kidnap the character Jane from the original manuscript, causing all copies of Jane Eyre to go blank. In cases like this, it’s the creator of the newer, combined, derivative work that gets the credit. This is how I think tea should work, too. If a retailer makes their own blend, they should rightly be able to call it theirs because they actually did something to produce the thing the customer buys other than put somebody else’s product in a tin and slap a label on it or whatever. “Yeah, but you’re a Tea Geek. Us regular tea retailers/wholesalers/customers don’t have the time to do all that kind of research to figure that all out. It’s too confusing and we’re not tea scholars!” Well, maybe that’s true to some extent. But there are some very simple steps that you can take to make it easier to give credit to the artist that created the teas you drink. check out how other places do it. I happen to like what Seven Cups is doing, for example. If it’s a blended tea (e.g., “Breakfast” teas) or flavored/scented (e.g., Earl Grey or jasmine greens), ask if the blending or scenting was done in-house. Be flexible–sometimes a new tea shop might not have all the answers up front and might have to do some research on their own. A good faith effort that doesn’t produce a good answer is much better than no effort at all. Do you have any good (or bad) examples of giving credit where credit is due? Post them in the comments! Posted on 18 July, 2010 Author Michael J. Coffey5 Comments on Whose Tea Is That?